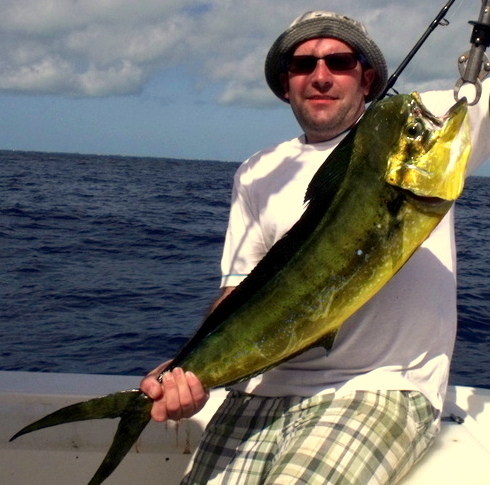 Now with the annual tarpon migration over and the massive shoals of spawning permit have long gone the main target summer fish for people on a Fishing Holiday in the Florida Keys switch to the famous summer run of the dorado or mahi mahi or as the locals call them dolphin fish. 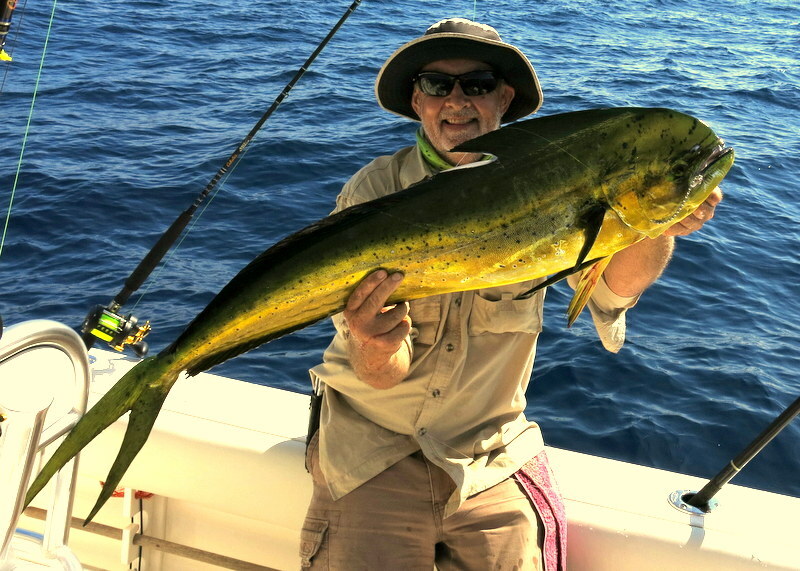 Still after all these years smile at first timers in the Keys seeing dolphin on the menu at local restaurants and thinking ” they don’t eat Flipper do they ” no they don’t but rest assured if you like eating fish there is nothing finer than fresh dorado. The facts about this fish still blow me away and sorry if you know about them but I am sure there are many who read this blog that dont. 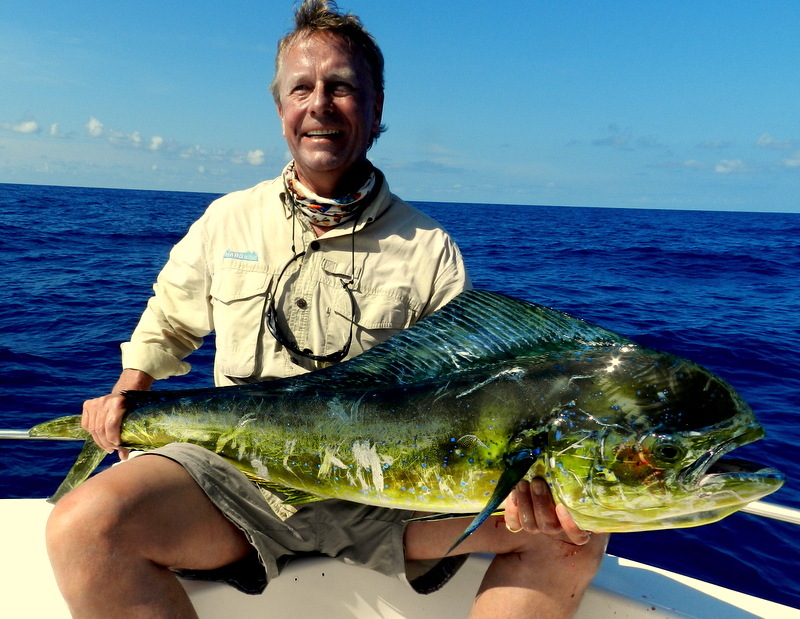 The dorado is the fastest growing fish know and in just 12 months had reached 39.9 lbs yes 39.9 lbs. They are mature at 4 months and breed many times in a year this growth rate has its done side very few fish live longer than 3 years when they are getting near 100 lbs. In fact a record fish of 105 lbs was taken a few years ago but unfortunately was eaten before the crew new how special the fish was. 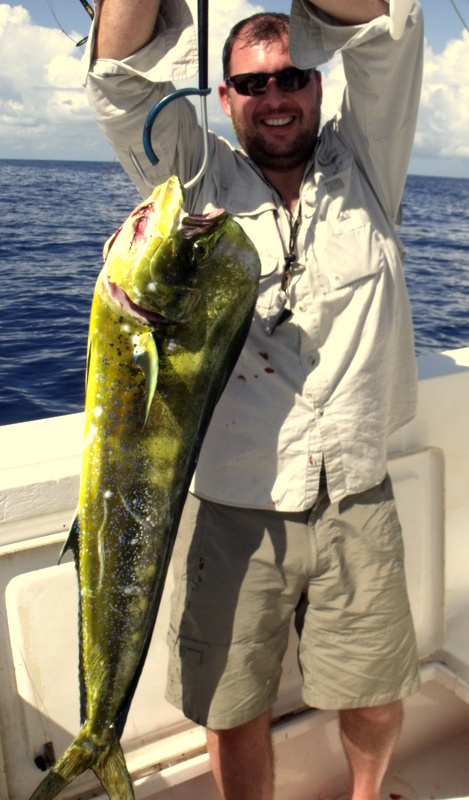 Over the years we have had some very special fish on very large cow ( female dorado ) even took two baits from different rods now that was a fun fight. 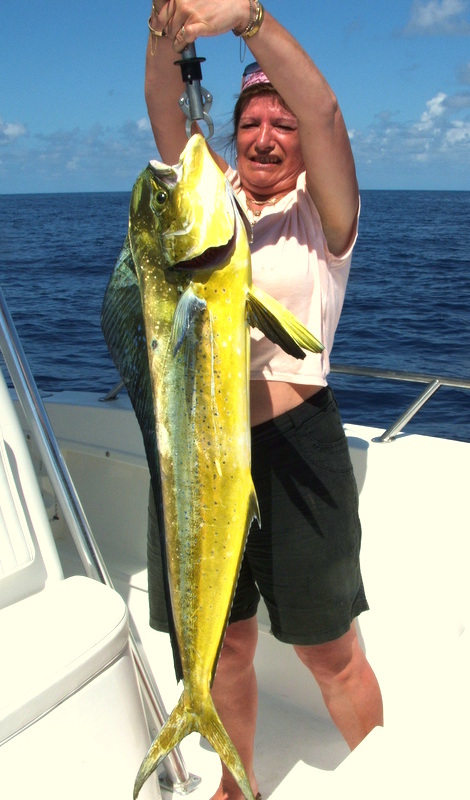 So back to summer fish and there is plenty more to go for and near 50 species possible in a week still, as big as you want the shark and grouper don’t go anywhere. Normally during the summer I take the boat out but this year as we have a few parties its staying in all year and we are happy for even one day to two weeks. 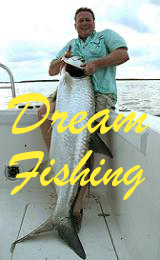 Yes its hot in the summer and it rains most days ( very warm rain ) but you can fish early and late to miss the hottest part of the day. So if you have earned lots of brownie points at Disney get on down to the Keys and bend a few rods great with the kids as well.